You’ve just completed a copy edit. But do you really need a proofread? Most authors recognize that copy editing is an essential step in the overall editorial process. There’s no better way to catch those pesky technical errors (spelling, punctuation, and grammar), as well as checking sentence structure and word usage. After this process is complete, it is almost always recommended for the manuscript to go through a professional proofread. Yet, many authors, especially after a few rounds of comprehensive (and exhausting) editing, balk at the suggestion, believing that all possible issues were addressed at the copy editing level. So then, is proofreading really an important step to take before releasing your book into the literary world? Or is it simply a luxurious add-on? Let’s answer this by discussing the differences between the two processes. Copy editors are like manuscript mechanics. You put your work together, and they fine tune your book to make sure there are no errors to trip up your reader, as well as making sure everything is up to common literary standards. It’s not a mean task, either. Not only do copy editors need to know (or at least be able to reference) every technical rule in the book, they also compile style sheets that are unique to your writing style. This acts as a sort of “Writer’s Bible”, that the copy editor can refer to so your work is consistent. Do you employ the royal comma? How do you use contractions? This and other information is contained within the style sheet. Copy editors also make sure that your syntax is smooth, the sentences are properly structured, and that words are used correctly and in the proper context. In addition, they need to know the linguistic differences between different dialects, such as American vs. British vs. Canadian English. Sometimes, they may also suggest some changes to chapter titles, subheadings, and glaring lapses in story flow or logic (especially if a developmental editor wasn’t used beforehand). Your copy editor painstakingly goes through your manuscript several times to make sure that every one of these issues is addressed. Only then is your work sent back to you for inspection. Proofreaders, on the other hand, inspect what can be considered the final product. This includes not only the body text, but also the formatting consistency of page numbers, chapter headings, and page headers and footers. They look for anomalies such as blank pages, typos, and strange paragraph spacing. End-of-line issues, such as too many hyphens in a row, are also inspected, as are photo captions and footnotes. Perhaps most importantly, proofreaders also check the body of your story, to make sure nothing incorrect was included during the previous editing procedures. Why? Because mistakes happen. You’ve accepted lots of edits, rewritten parts, made corrections, and reviewed everything multiple times. But it’s entirely possible that after going over your copy editor’s 600th note (which it’s not uncommon to have), you inserted a word twice, or declined an edit you should have accepted. We’re only human, but proofreaders look out for us. So, in short, copy editors are about revising issues within your story, whereas proofreaders are about the entire product. Clearly, there are many differences between the two processes. But they do have a few things in common. Firstly, they both address things that drive readers crazy: spelling and grammatical errors, typos, inconsistent spacing, missing or incorrect page numbers, and more. Readers want to get lost in your book, and these issues distract them from it. And if this is the first time they’re reading your work, you can bet that there won’t be a second time. You only get one chance to make a first impression. Secondly, both copy editing and proofreading should only be handled by qualified professionals. You shouldn’t attempt to do either completely on your own. Lastly, copy editing and proofreading are both recognized as essential parts of book development by publishing professionals and authors alike. 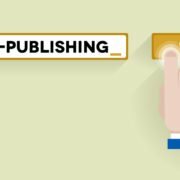 Self-published authors can also consider proofreading not as a luxury, but rather an opportunity to provide their readers with the best reading experience possible. http://editorsdesk.net/wp-content/uploads/2016/10/bigstock-minimalistic-illustration-of-a-59227565.jpg 579 1000 Richard Todd http://editorsdesk.net/wp-content/uploads/2017/06/the-editors-desk-logo.png Richard Todd2015-03-24 17:08:142017-07-02 16:28:34Do You Really Need a Proofread After a Copy Edit?